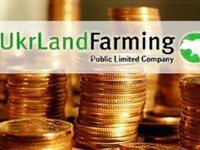 Ukrlandfarming agricultural holding with Avangard agricultural holding controlled by the first one on February 4, 2019 signed an agreement on restructuring a UAH 4.4 billion debt to state-owned Oschadbank, the press service of Ukrlandfarming has reported. According to the press service, the restructuring negotiations lasted more than a year. The analysis of the company's activities and assets, as well as the forecast of operating and financial indicators were carried out by the international auditing company Ernst & Young. As reported, in December 2018, Ukrlandfarming was preparing for rescheduling of a UAH 4.3 billion debt, the guarantor of which was its subsidiary – PrJSC Rise. According to the annual financial statements of Rise for 2017, its total liabilities under loans issued by banks were UAH 4.5 billion, in particular, to U.S. ExIm Bank, Raiffeisen Bank Aval, Ukrsotsbank, UkrSibbank and Oschadbank. The maturity starts from 2018 until 2026. The amount of Ukrlandfarming's debts is about $2 billion ($1.6 billion of the principal of the loans). The agricultural holding has been negotiating the debt rescheduling with creditors for several years. Ukrlandfarming is the largest agro-holding in Eurasia. It is engaged in growing grain, producing eggs, cattle breeding, distributing machinery, fertilizers, and seeds. The owner of the holding is businessman Oleh Bakhmatiuk.